These days we spend a lot of time talking about those who are successful either because they are dyslexic or despite their dyslexia and we celebrate what they add to the world and I am celebrating alongside of them. But the reality is that there are three or four generations of adults who struggled through school and were only not identified, but placed in inappropriate placements and deemed ‘not smart’ or ‘not school smart.’ I have had the opportunity to sit and listen to literally hundreds of these stories during my time in adult literacy and I can tell you that each and every one of them weighed heavily on my heart. Lynford was one of those brave souls who walked through the library door and changed my life forever. He touched my life so deeply because he was the first (but certainly not the last) adult learner to cry during our first meeting. Lynford was a gentleman in his mid-thirties who was married with three kids. He was originally from the English-speaking country of Jamaica. When I met him he was working at a senior retirement community in the kitchen. He was having difficulty supporting his family with his paycheck, but he wasn’t able to get a promotion because he could not pass the written test. As he told me why he was at the literacy program and started to explain why he could not get ahead at his job, he began to cry; not just tears rolling down his face, but full-blown crying. He was so incredibly ashamed of his inability to read and write and he had never told anyone until he was sitting in front of me. He went on to tell me that his mom had actually abandoned him because he was not able to learn like his siblings. Lynford had learned that his dyslexia meant he was worthless. He stuck with the program for many, many, years and he was able to get that promotion with improved reading skills. I did see a happy gleam in his eye return over the years, but he still hung his head a little lower than I would have liked. Although Lynford is a real person, he represents the millions of adults in adult literacy programs throughout this country and the millions more who never stepped forward for help. Many of these adults share Lynford’s story and many don’t know why they never learned to read and write. The purpose of this story is not only to remind all of us that there are millions of adults who grew up during a time that dyslexia was a word that was rarely used and when it was, it was usually the privileged kids who got the help – oh wait, not much has changed has it? The moral of this story is that school systems are forgetting that kids with dyslexia become adults with dyslexia. Children who are being marginalized with the wait and see approach, will grow up to feel like they have been robbed because they know they are smart. The longer we wait for the right instruction, the more likely it is that they will not fulfill their immense potential. Lastly, to all of those adults out there who are hanging your head low because of poor literacy skills, chin up, it’s not your fault and it’s never, ever, too late to learn. I would like clarification regarding an IEP under Specific Learning Disability, Dyslexia and Accommodations for Dyslexia served under 504? We have recently completed our 504 meeting and it seems to be lacking. Can/should an IEP be written if the student is receiving services under 504? Over the years I have met many like Lynford. Many were even successful in their careers but had kept secret their hidden shame since childhood. While I can successfully work with adults, I am so blessed to have the opportunity to help young clients. We can improve reading and learning skills and avoid low self esteem and shame so they can reach their full potential. As an adult who was never recognized as having dyslexia as a child, (though it’s bad enough that it should have been recognized) where does one find help? Asking for a friend/relative. Until this past February, I didn’t know a lot about Dyslexia. (Or so I thought!) I know my husband, John, very well though. When we first met more than 20 years ago, I knew there was something amazing and special about him. He was a great father to his son, a loyal friend, dedicated hard worker, and had a kindness about him. I also knew that he was a person that had a learning difference. I could tell that he was unique, highly intelligent and had developed brilliant compensatory strategies. To this day, I have never met anyone quite like him. During his formal education, John was placed on an IEP and shuffled around from school to school in Tucson, Arizona. He attended about 7 schools in all. He graduated high school in 1988 and was handed a diploma. He graduated without being able to read or write. He also had no real idea about the origins of the LD he struggled with daily. Besides literacy issues, John would frequently have trouble with verbal communication. This was more noticeable when he felt pressured or had anxiety. Ordering at a drive-thru was difficult. He had trouble with directions, such as right, left, north and south. When we were dating, he missed Thanksgiving dinner one year. He could not find his way to my mother’s home. Trying to follow a sequence of tasks was sometimes difficult. We had many unseasoned BBQ hamburgers, because he missed a step. (They were still delicious!) Navigating on a computer was difficult too. Try as I might, I was not able to convince John of his brilliance. You see, the world he had been struggling to live in already convinced him otherwise. In fact, there were many times he asked me “Why am I so stupid?”, “Why am I so dumb?” or said things like “There are smart Dads out there, but not this Dad.” Of course, I would do my best to explain how smart he truly was. He came up with strategies to overcome a LD all on his own! He was very successful in the trade he worked in because of it. It made him an “outside of the box” thinker and problem-solver. 14 years ago, John was offered a professional career opportunity. He would be installing aircraft interiors. He had great mechanical ability and it seemed a natural fit. After a few weeks on the job, he came home very upset. His literacy issues were affecting his work. He agreed to his employers request and attended twice a week tutoring to improve his literacy. He has done so for the past 14 years. The literacy group tutoring John does not offer LD specific curriculum. His ability to read and write has improved only slightly, but he has not given up. About a year ago, his job expectations changed. When this happened, it brought back all the feelings of inadequacy John had struggled to overcome all his life. He desperately wanted to improve, but had no idea what could help him to do so. He asked if I would look online. Initially, I looked for adaptive technologies. Eventually, I searched the internet using his challenges as search terms. Lo and behold: Dyslexia. A neuro evaluation confirmed it months later. So, at 45 years old, for the first time in his life, my husband finally understands that he is a person with dyslexia. And now, I understand too. This Is Sooo True! I’m 52 and still struggle. I’m nearing 60 so when I was in school no one even had heard of dyslexia much less what to do about it. My mother was a stickler for the written word, though, so she emphasized it quite a bit. After a lifetime of practice practice practice, I write better than a lot of people I know who aren’t dyslexic. Still, I have a terrible time reading and can’t excel in college because I have something like a two percent comprehension. Childhood was awful because of the dyslexia and my parents just assumed that I was slow and lazy. I get really worked up when I think of what I could have accomplished if I had had the help I needed as a kid. My 21 yr. old son will complete college next yr.He has an academic scholarsip,is an r.a., is in the local &national Blue Key honor society,has friends and is happy. He plans to apply to medical school . He also has Dyslexia.We handed private testing to the IEP team when he was in Kindergarten& were given a 504..with no Scientifically based reading plan. We had private tutoring…by teachers.Remember if it didn’t work the first time no need to repeat the process.It only frustrates a child further.Reading recovery does not teach a Dyslexic to read.The saga continued until 5th grade when he had an IEP & still no Scientifically based reading program. 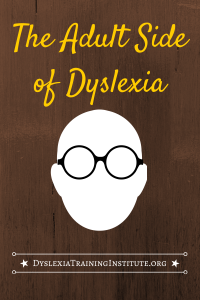 Fortunately I read the book +Overcoming Dyslexia+by Sally Shaywitz M.D…..read it.We mortgaged our home and enrolled our son in Oakwood School in Annandale Va. They use scientific approches.They as lso loved our son back to the person he was prior to many failures with a well meaning,uninformed school system..Fairfax County.Do not assume educators are informed about best ,successful,practices. Read the book ! 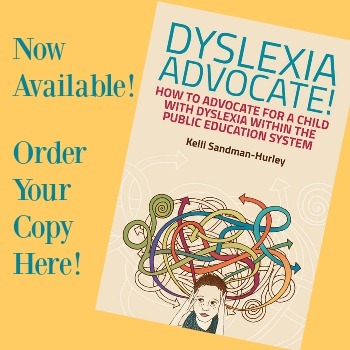 I was tested and diagnosed with Dyslexia when I was in the 4th grade, around 1975 and went to special education classes for three years following the testing. While I don’t doubt I have some type of learning disability, I’m not sure if I have classic Dyslexia, but feel it could be Dyscalculia, or maybe ADD. I don’t think I really got anything out of the special education classes, as I do not typically have a problem with reading. I do however miss words; they seem to grey out. I find it gets much worse when I am under pressure, such as work or when I was in school, as appose if I am reading for enjoyment. I am in the Phoenix area and have tried to locate where I could go, as an adult with some type of disability, to get re-evaluated so I can get the treatment I need. I struggle every day and it has always affected my work like and my personal life. If anyone has any suggestions, I would greatly appreciate it. Hell, I am a 25 year old from jamaica. I don’t know how to read and write good. I have to use check spell a lot, Google how to spell words and try to use very basic words. I don’t know how to construct good sentences so please don’t laugh at me if you find a lot of errors in this letter. I try my best to hide that I can’t read and write good. I do this by not talking to people, I avoid everything that includes reading, at school I try to sit at the back or in the corner, I try to act interesting when I am in class but not too interested so that the teacher wouldn’t pick on me to answer questions, I avoid all extra curiculum activities because I know that somewhere down the line I will be ask to read or write something. It is hard for me to express myself . 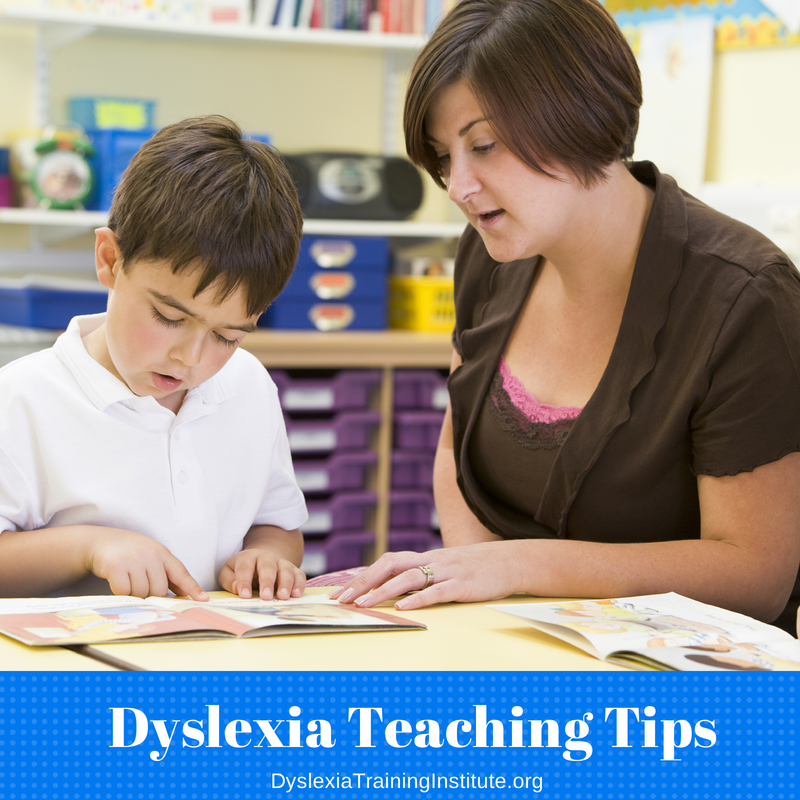 I have never done a dyslexic test or any other learning disorder test. I want to do the test but it is expensive and I am also ashamed. Thing are hard to kept confidential in jamaica. I knew something was wrong with me from I was about 3 or so. I used to get beating for not knowing how to spell my name and not knowing how to say my ABC . My mother also made fun of me not knowing how to do these things. She called me a fool, she called me a nerd (the word nerd in jamaica is used in a bad way) she called me pretty dunce. I still love my mother, as I grow I found out that she had a messed up childhood and wasn’t ready for a child when she had me. In basic school I never used to complete my work, no matter how hard I try or how fast I try to work it just never worked out. I have a lot more that I want to say but I don’t know how to get it out. I don’t know how to write it. Not knowing how to read and write good as led me to be very antisocial and suicidal. I want to fit in , I want take part in things that’s going on around me, I have always wanted to do a lot of stuff while growing up but didn’t get to do them because I fair kids laughing at me. I don’t want to die or get old without knowing a happy moment. I want to be happy at least one time in my life . I NEED HELP PLEASE. my brother is 34 years old and suffers from dyslexia , he even wants to die because he feels so helpless please help me help him he really is willing to try whatever it takes to make him normal or atleast understand literature. He has two kids who are young and need their daddy. Please help us. I always wondered why I was different than my brothers and sisters. Why they did so great in school and great grades and I ended up in special ed classes I never raised my hand in class, I never wanted to read out load. What was inside me and what I wanted to say would not happen and to this day a is a struggle. I can not remember the full alphabet for the life of me. Even on comericials if they speak fast fast it sounds like a different language. When I do need to speak what I want to say does not come out and gets all mixed up I know this was not right and try to say it again, and again. I was tested about 4 yrs ago and labeled servere dyslexia. I’m 57, feel better knowing that the struggles I had were real and I was NOT dumb or lazy. Still like every one says information is still hard to find. My Son of 21 years old ,went through school and had a iep . He still didn’t get any kinds of programs or help with dyslexia. they just kept passing him grades with a IEP SLAPEED ON HIS FILE. Now I have a very depressed young adult who is asking me for help. I cant find any school or program online or even on any campus . This is a major issue for him . 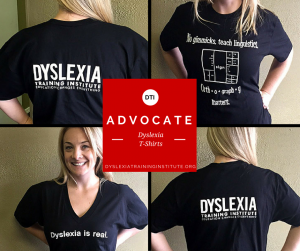 We need help .If you know of any schools that teach reading for adults with dyslexia please let me know. I just found out at the age of 28 that I was dyslexia. I am now 32 years old and I would l cry because I can’t find help, I don’t know what to do, nor where to go. It’s saddens me to know that my daughter may also be like me and I try my best to be patient with her. I would do anything in the world to not let my daughter feel the pain that I feel being dyslexic.